Materials: All Materials. Diameter: 9"/230mm. Laser welded segment. Materials: All Materials. Diameter: 9"/230mm. 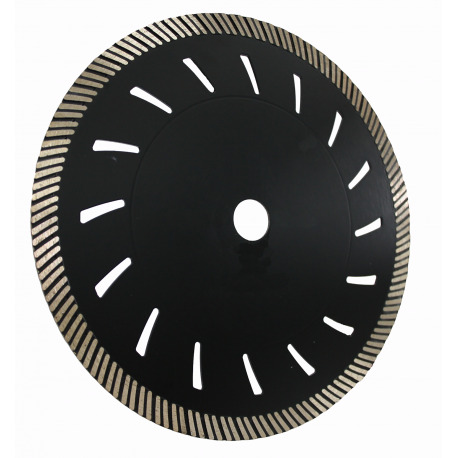 Application: A turbo multipurpose blade for cutting quartz, silestone, porcelaine, granite, hard natural stone (basalt, silica, etc) and other hard and compact materials.